I hadn’t intended to, but I’m going to skip pie this week so we can pick up the conversation where we left off last week, a conversation that’s continued all week long with a flood of emails from you about my forthcoming website, The Good Cooks Academy. However, I hate to disappoint so if you did have a hankering for a pie, why not click the Table of Contents tab above and scroll down through our archives. 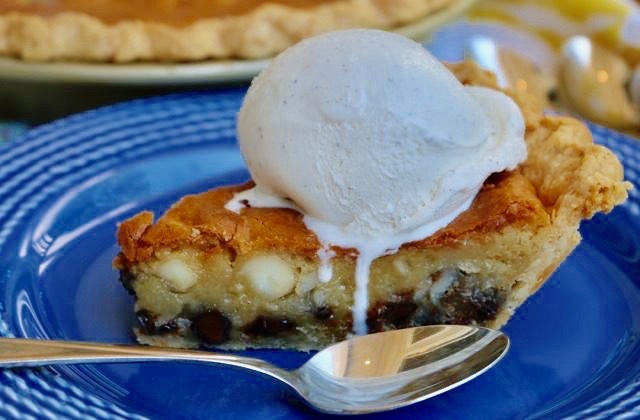 It’s quite a list, and you’re bound to have missed a gem or two over the years – like this Chocolate Chip Macadamia Cookie Pie pictured above. Practice it for Mother’s Day. Or Easter. Any excuse will do. So…one lesson I learned this week is that you don’t ask a community of passionate home cooks like ours about their kitchen habits and preferences unless you really mean it, which of course I did. The result? Nearly four hundred of you have already signed up to be charter members of The Good Cooks Academy. More than a few of you, way more, emailed back, burying me in an avalanche of great ideas, suggestions, and encouragement. Buried in a good way, mind you. Please keep it coming. It’s going to take me weeks to sort through it all, but I’ve done just enough skimming to find some common threads in your emails. There’s a good chance that, like me, you’re a baby boomer, or baby boomerish, and you love to cook; no surprise there. You like fresh foods, and while most of you still eat meat and especially lean proteins, like fish and turkey, your diet includes quite a few plant based foods like fresh vegetables, fruits and legumes. Whole grains appeal to you. Really long lists of ingredients turn you off, which made me cringe a little because I know many of my pie recipes read a tad long. More than a few of you are cooking for just one or two these days, so you like to eat leftovers and are always on the lookout for creative ways to do just that. And you couldn’t do without your favorite kitchen tools. Your food processor, garlic press, and, most especially, your chef’s knifes are among your favorites. Like I say, that’s just a peek at the emails I’ve received. Over the coming weeks I’ll be drilling down, sifting through them, and using all this good stuff you sent to help me plan for The Good Cooks Academy. Please know that if you wrote to me I’ll do my best to answer you personally. And please forgive me if I don’t. Either way, you have my gratitude. Indeed, many of you know me from my earlier writings, so I thought you’d enjoy revisiting these oldies but goodies. 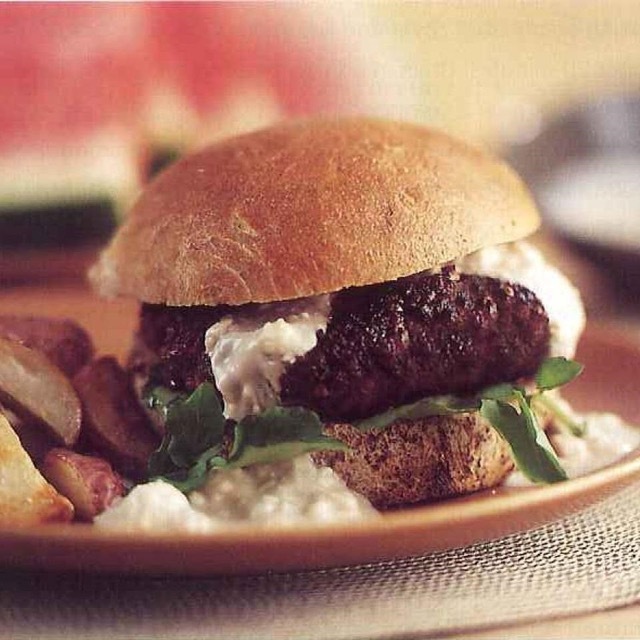 I’ll also try to track down and provide links to my recipes that are scattered here and there around the web, including many of the recipes I developed for Bon Appetit, like this Sour Cream Coffee Cake with Pears and Pecans and, for Eating Well, these Southwestern Pumpkin Burgers, Pecan & Mushroom Burgers (below) or this Curried Carrot and Apple Soup. So that’s it for this week. In the next week or two I’ll have a couple more big announcements to make – the first about our upcoming Lowcountry Pie Getaway in Charleston; we’ll be announcing the dates. The other about a new book of mine, coming this summer. So stay tuned. And if you haven’t already, please go here and sign up for The Good Cooks Academy.